You can now access additional Primary Care Services in the evenings and at weekends. Improved Access is a Wiltshire-wide initiative where local practices are working together to offer increased availability of services and appointments in the evenings and the weekend. These appointments are available 18:30-20:00 Monday-Friday, and Saturdays, Sundays and bank holidays. This collaboration by practices will ensure all patients in Wiltshire have this option, but this might mean you will be offered an appointment at another practice. Appointment types will vary - some being face-to-face, some on the phone - and there will be a mixture of bookable and same-day appointments available across the week. We will be offering appointments with GPs as well as with other healthcare professionals, such as a Practice Nurse or Health Care Assistant . We are keen to balance the importance of continuity of care with convenient access for patients, while ensuring that the service is safe. To book such an appointment, contact your local Surgery during normal opening times. A receptionist will explain the process, and ensure the booking is appropriate. You will need to give consent to use this service. For more information, please contact your usual GP surgery. Our aim at The Tolsey surgery is to offer a personalised service for all our patients. We make a point of getting to know each patient, and the GP's try wherever possible to be available for consultation with their patients, whether by telephone or face to face contact. We offer true continuity of care which is at the heart of "old fashioned" general practice, whilst embracing the essential changes that are a necessary part of working in primary health care. 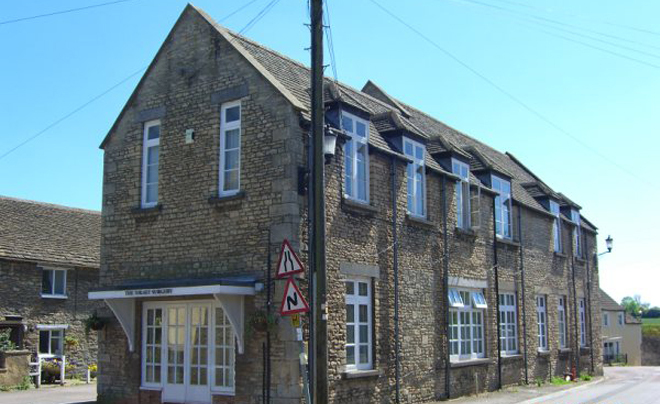 During 2019, along with other local practices in Malmesbury, Cricklade, Royal Wootton Basset and Purton, we will be working together, taking guidance nationally, on developing a local Primary Care Network ( PCN ) Each practice will still be completely independant, but creating shared services with practice control, we feel is the way forward. The Tolsey Surgery was founded in 1987. Previously the surgery had been sited in Swan Barton. The Tolsey has had many uses in its long history and sits in a prime postion in Sherston High Street. The premises consists of two floors. The entrance door is wide enough for wheelchairs and the downstairs cloakroom is designed for disabled patients. There is a downstairs consulting room for disabled patients and a chairlift for those patients who have a difficulty with stairs. Ask for assistance when needed and a member of staff will be pleased to help. You can order repeat prescriptions online, book and cancel existing appointments, change your name and address and much more. You can find out information about medical conditions and diseases through our patient information leaflet links on the side menu as well as keep up to date with all the latest practice news and developments. We are always looking to improve our services so please do complete our patient survey or leave some feedback on our contact page. We hope that with your help and co-operation we will be able to make this website a better portal for all your online needs. Should you ever wish to make comment regarding our service, please ask to speak with the Practice Manager. You may have heard about the need for GP practices to be registered with the Care Quality Commission (CQC) from April 2013. This is to ensure that people can expect services to meet essential standards of quality and safety that respect their dignity and protect their rights. The Tolsey Surgery took part in a pilot study to test the compliance methodology CQC will use to monitor these services. As a volunteer, we were one of the first surgeries to be inspected by the CQC. This involved an inspector spending the day at the surgery speaking to the practice manager, a GP, reception staff and patients. The inspector also spoke to John Buckley, the Chairman of our Patient Participation Group, FOTS. We are pleased to report that we were found to be fully compliant in all areas inspected and have a GOOD STANDARD formally recognised. The report is available to view here or in the surgery.